After spending over a year in an Iranian prison, Washington Post journalist Jason Rezaian is on his way home Sunday, and editors at The Washington Post say they are "hugely relieved." Family and co-workers of Jason Rezaian are eagerly awaiting his return to the United States since his detainment in July 2014, when Iranian security forces raided his home and seized his wife and him. Rezaian is one of three Americans to fly home after Saturday’s prisoner swap between Iran and the United States. The exchange was part of a larger deal to relieve sanctions on Iran in return for its progress in pulling back its nuclear program. “We’re very glad that he’s now regained his freedom,” Baron said. Although Baron said The Washington Post wishes Rezaian’s release would have happened sooner, he said they are “very grateful” to the U.S. government for their efforts. Douglas Jehl, foreign editor of The Washington Post, is awaiting Rezaian’s arrival in Landstuhl, Germany. “We expect the plane carrying Jason and other Americans to land here shortly and he will be taken immediately to a military hospital here at Landstuhl military base,” Jehl told WTOP. 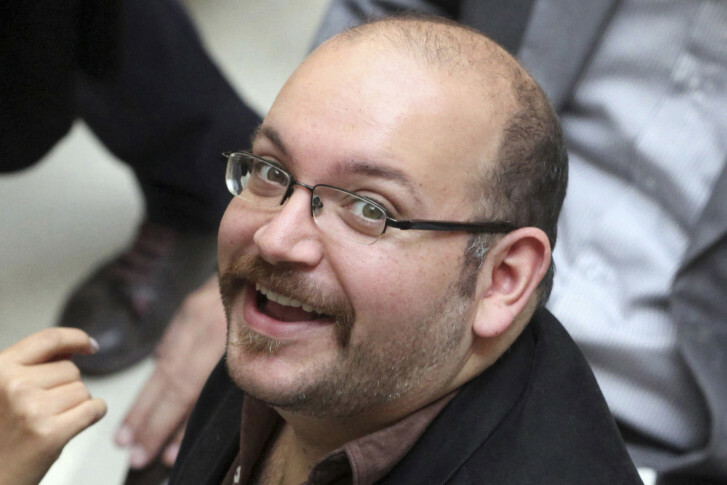 Rezaian’s health is the first priority, Jehl said. So what’s next for Rezaian? Jehl said the Post doesn’t want to rush anything. “We really want to keep the focus on Jason and when it’s time for him to talk, to tell his story, we know he’ll have a good one to tell,” Jehl said.